So I decided to take myself into town this morning for a little bit of shopping r&r. Didn't really go that well. I was looking for something to wear out with the girls on Saturday night, nothing specific but you know when you want something there's just zip out there. I am loving however all the bright colours and patterns this season is bringing especially in the likes of Oasis and Warehouse. Was really impressed with some of their tops. Dorothy Perkins was another today that had a lot of nice dressy camisoles. I picked up two tops. On the left we have an Orange Animal Print Pephem Cami £18 from Dorothy Perkins - it is very bright and bold. I can never resist animal print either, it is one of my fetishes. The top on the right is a Tiered Tropical Floral Print Camisole from Oasis £20 It is gorgeous, What a difference from wearing black all the time, can finally store the dark colours at the back of the wardrobe. 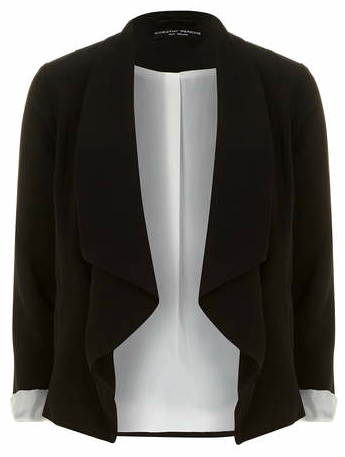 I also picked up a new Black Waterfall Jacket from Dorothy Perkins £35 and both cami's sit really lovely with it. I have a leather pencil skirt from River Island that I want to wear and think that with a cami and jacket will go quite nicely for a relaxed evening of cocktail banter. 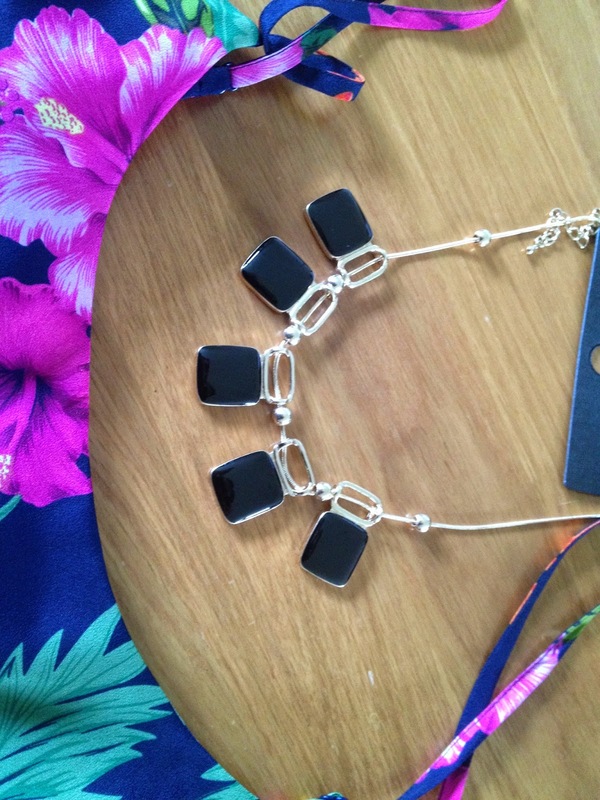 This necklace is also from Dorothy Perkins, I got it in the sale for £2. Bargain. I picked up my reliable 80 Denier Opaque Tights from John Lewis - in my opinion JL is the best place for hosiery. I think they are great for their natural tan tights too. I seem to get far longer wear out of them compared to some other leading retailers. 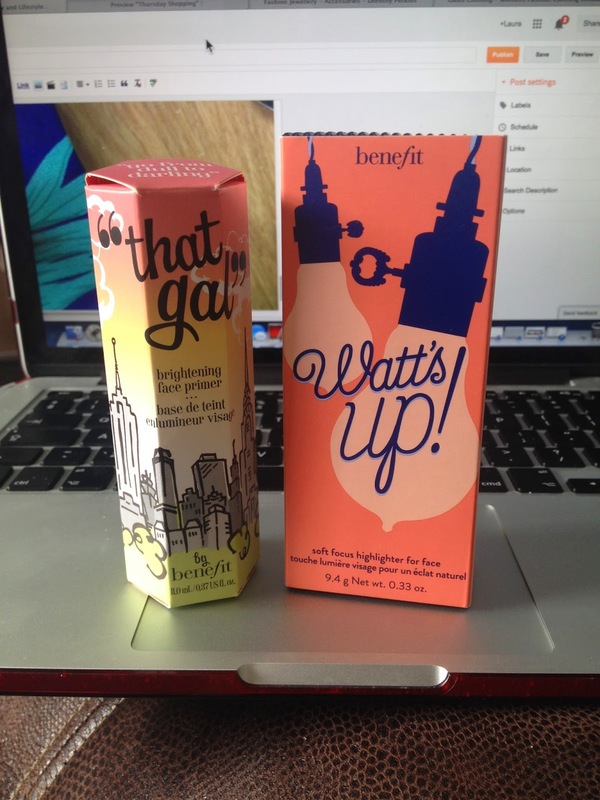 I was really restraint in the makeup department today - I knew exactly what I wanted to pick up - benefits 'That gal' £22.50 and Watt's Up! £24.50 - both amazing products. That Gal is a brightening primer which I like to apply under the eyes, after I have applied my foundation, for a nice dewy glow. Watt's Up is a soft focus highlighter and is amazing for any areas of your face that you want to draw light to e.g cheekbones. Brow bone being a particular favourite area of mine for this product. Finally, candle daft? Yes I am. Can't resist a candle that looks as gorgeous as this. 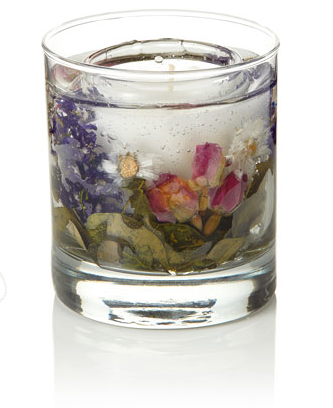 Floral gel filled candle £12 from Monsoon's Homeware would make the ideal gift for someone - or if you are like me, a perfect addition to any collection. It has a delicate floral scent. I probably won't light it though. Will probably keep this one purely ornamental. Been on a shopping spree lately? Thank for sharing this lovely shopping!